Queen Elizabeth I was not the only person to find it attractive, because St Mary’s has always been popular with couples as a church in which to get married. In fact, its popularity in this respect at one time caused problems, since there was always such a long waiting list for wedding dates. It was consequently decided that marriage ceremonies held here would have to be restricted to those who actually lived in the parish of Redcliffe, but this idea was soon thwarted by some enterprising and resourceful Redcliffe citizens who started to allow ‘outsiders’ to leave a suitcase of clothes at their house in order to claim ‘residency.’ At a price, of course! 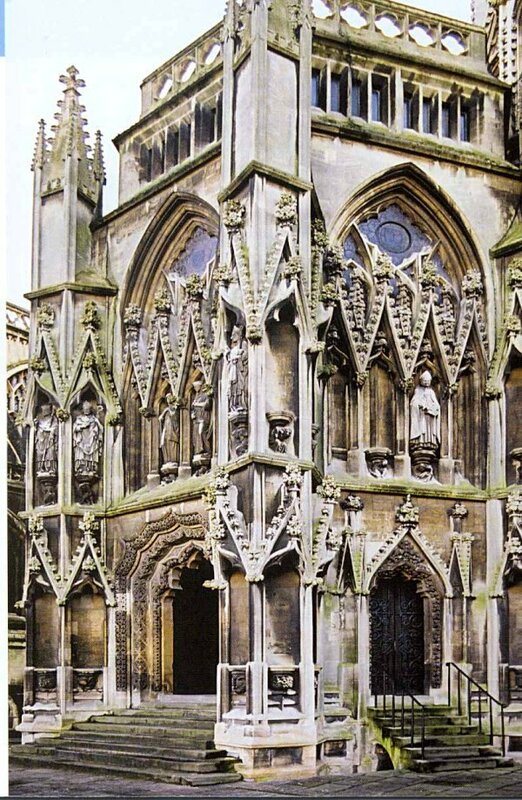 There is an excellent illustrated guidebook on St Mary Redcliffe, based on research carried out by James Wilson, a verger at the church. [i] This contains a number of photographs, some of which were taken by John Pickard, a Church Warden. 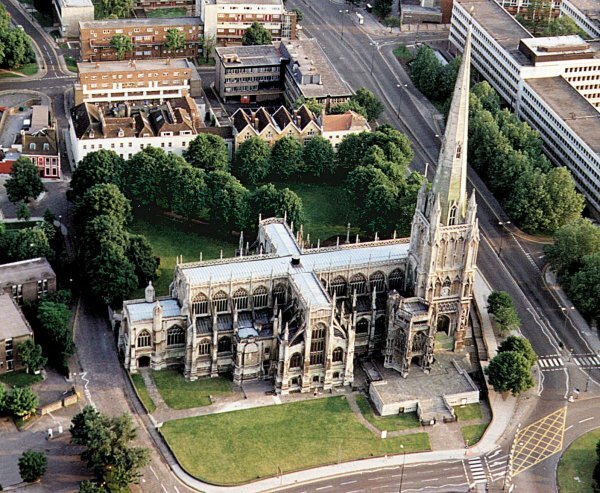 Fig 1 is an aerial view of St Mary’s in which the steps leading to the Great North Doorway can be seen near the bottom right, and a closer view of the doorway is shown in Fig 2. The restoration at St Mary’s was done under the direction of the architect, George Goodwin, and James Wilson discovered a set of plaster models of the North Doorway that would almost certainly have been Pulham’s work. 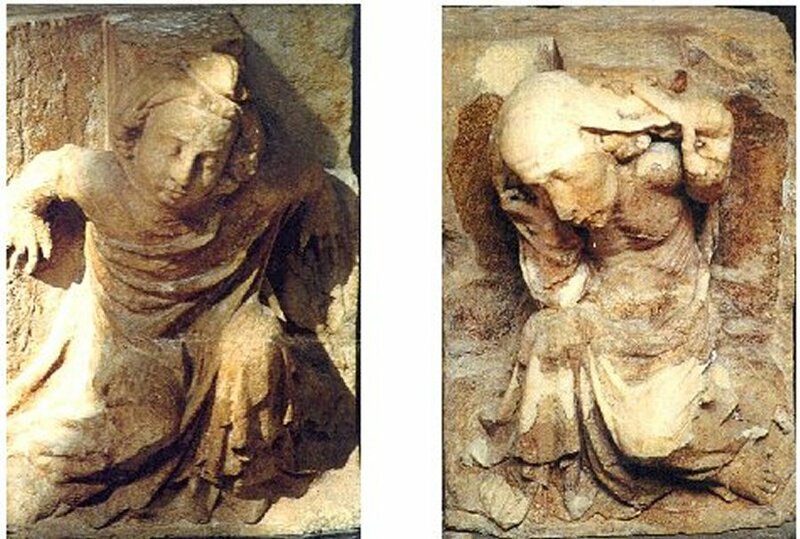 These models were made from casts of the doorway, taken after the work was completed, so that future restorers could see exactly what this restoration of the original was like. One can get a good idea of what was involved in this work from an old painting of the North Doorway that dates from 1813. This is reproduced in Fig 3, and shows the terrible state into which the stonework surrounding the doorway had been allowed to deteriorate. 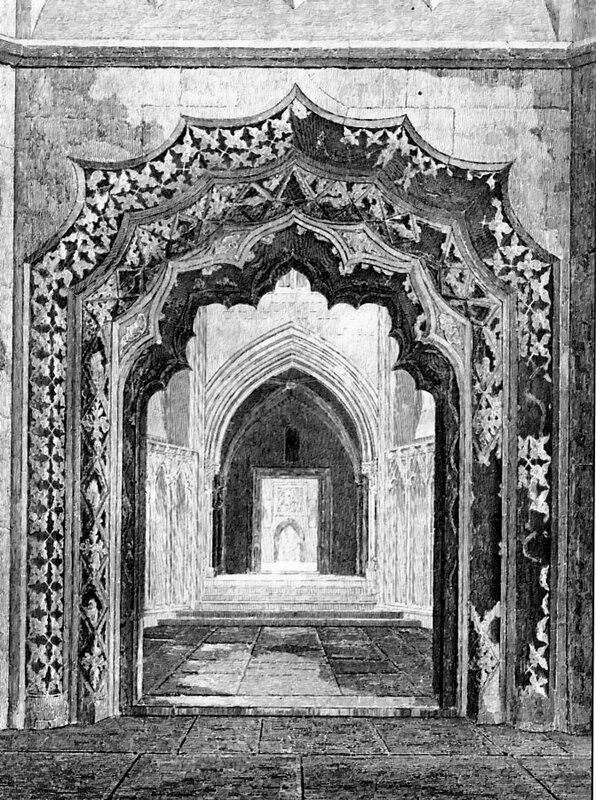 Fig 4 shows two detail photographs of the extremely intricate gothic tracery around the doorway as it is today. These pictures of the top of the arch and the right-hand border provide a very clear idea of the skills and craftsmanship that were demanded for this particular piece of restoration. 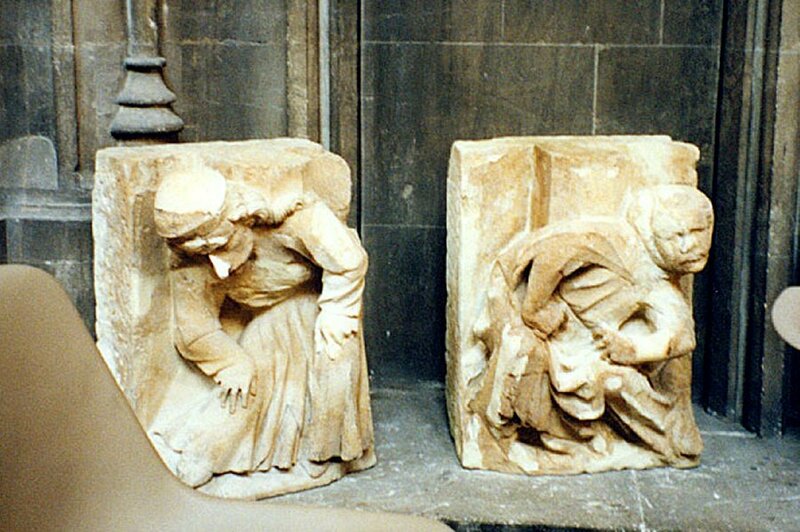 James Wilson’s research also revealed that the restoration work carried out at that time also involved the 13th century corbels – or brackets of stone – that supported the statues of the kings of England that once stood in the niches that decorate the outside of the North Porch. Some of them can be seen above the doorway in Fig 2. These figures represented the various types of merchants and working-class people who would have populated the town in those days – i.e., stonemasons, chandlers, blacksmiths, merchants, beggars and the like – and their original intention would have been to illustrate how the prosperity of the town – and its Kings and Queens – had been built upon the work and support of ‘the common man’. This probably explains their stooped postures, indicating the heavy burden of toil and responsibility that they carried on their shoulders. The corbels that are currently on the outside of the North Porch are actually copies of the originals that were made during the major restoration of the mid-1840’s, so they are presumably the work of James 2. James Wilson also discovered that the originals had been stored away in the vaults, and had been moved into the church for safe keeping at the time of my visit in 2001. When they were cleaned, the extent of the restoration work that was done on them nearly one hundred and sixty years before became evident, because the repairs show up as lighter areas on the parts that had to be restored – presumably by either James 2 or Obadiah Pulham. Four of these figures are shown in Fig 5. The picture of the two at the top was taken during my visit, when all the blocks were lined up on the floor along the side of the church. The rows of chairs in front of them show that they are each about the size of very thick 2-foot square paving blocks. Two more of the blocks are shown separately below. Posted on January 1, 2014 June 4, 2016 by Claude HitchingPosted in Sites Month 2Tagged Claude Hitching. James Pulham and Son, St Mary Redcliffe Bristol.